Discarding a hard drive is not as simple as tossing it in the trash. And even if you erase the drive by magnetically degaussing, are you sure the data is secure? 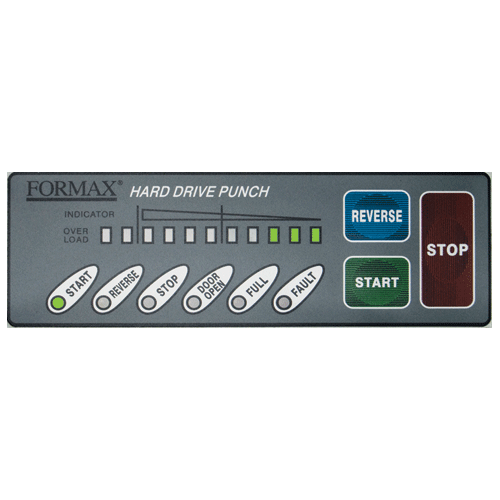 The Formax FD 87HD Hard Drive Punch provides that added level of security by punching a hole through discarded hard drives, causing visible damage and making the stored data virtually unreadable. Simply load a hard drive into the feed chute, close the safety shield, and with the push of a button, the high-quality steel punch punctures the hard drive, which then slides into a convenient waste bin for storage until disposal or recycling. The FD 87HD punching die is made of hardened, nickel-plated steel for durability, and handles the two most common hard drive sizes, 2.5” and 3.5”, without any additional adjustments. LEDs illuminate the chamber during the punching process, visible through the transparent safety shield. The LED control panel displays the status and offers jam protection with auto reverse and automatic stop. 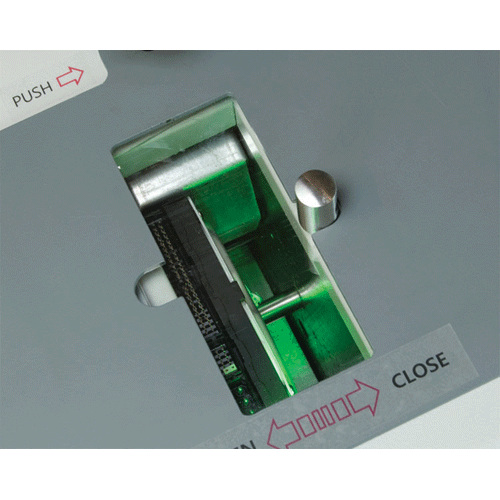 In addition, sensors stop the motor automatically if the door is open or waste bin is full. 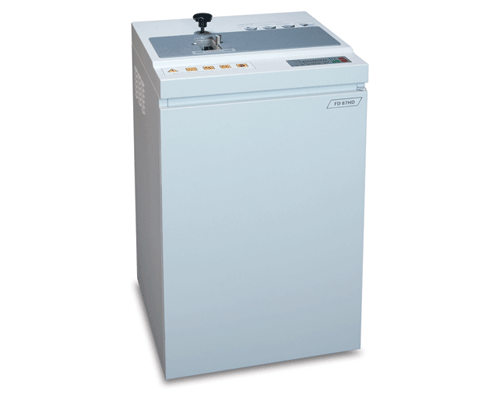 The powerful geared motor is housed in an all-metal cabinet with casters for mobility and is designed for low operational noise. 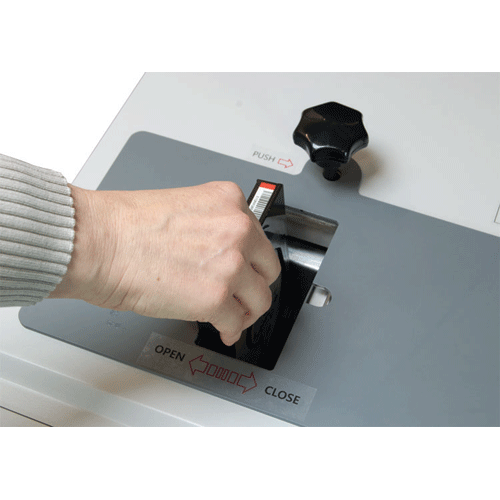 For that added measure of security, trust a Formax FD 87HD Hard Drive Punch to be sure your digital data doesn’t end up in the wrong hands.